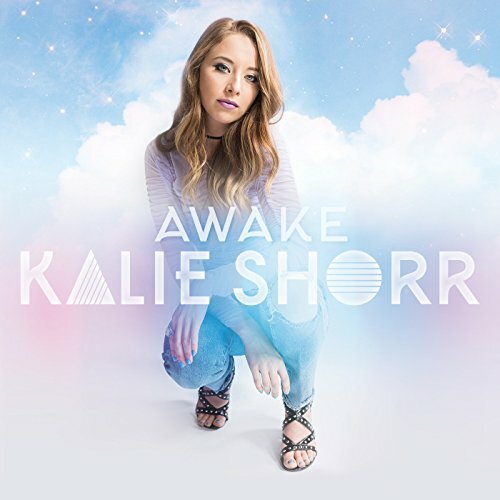 Kalie Shorr’s talent and heart are evident throughout the Awake EP. Kalie Shorr’s Awake EP is pop-country magic. Along with a dose of her rock roots for good measure, Shorr’s unique ability to blend genres is daring, undeniably true to herself, and unique. Shorr was named one of CMT’s Next Women of Country – Class of 2018 and is currently part of The Song Suffragettes, a weekly songwriter’s showcase for female singer-songwriters. They recently released the powerful and relevant “Time’s Up” song and music video. Shorr co-wrote the song about empowering women to take a stand for change and to raise awareness about women being mistreated in society today. Her passion for this project is inspiring as is her work ethic for her music career. According to Shorr her Awake EP “feels like the most authentic introduction to me I could give anyone.” It opens with the title track “Awake” a song about being the shoulder to cry on for an ex-boyfriend. With lyrics like “You never needed me when I needed you” and “You want me to be your everything, but I ain’t your nothing at all”, Shorr tells a story many can relate to. Next is the upbeat and sweet love song “Two Hands” about being yourself and having someone love you with all of the quirks that make you who you are. We at The Country Source can see this song being a huge hit this summer. Another upbeat song is “Candy” about someone being your guilty pleasure. You know they aren’t right for you but you can’t seem to stay away, just like the addictiveness of…. you guessed it, candy. The song is filled with clever lyrics and comparisons. A standout is the song “Backseat”. The song has a distinctive pop-punk/rock vibe. Shorr’s powerful vocals and writing give a snapshot into her personal life. You feel emotion in every lyric, and the frustration of feeling powerless and wanting to take control, especially in the line “Choices are made but nobody asks me / I watch my life from the backseat”. Another standout is the emotional and personal “Damn Sky”. It also showcases Shorr’s powerful vocals. The song at its core is about the importance of self-love and belief in one’s self after heartbreak. The powerful lyrics such as “Somebody had to light the way so I learned to hang the stars in my own damn sky”, “I never knew how strong I was until I found me and gave you up” and “…if I got myself I got the answer” are inspiring and speak for themselves. Next is the sassy and swampy “Who What When Where Why”. Shorr’s vocals shine in this clever and accurate song for anyone who has ever been cheated on and the empty excuses the cheater makes for their actions. Shorr closes her EP with “Cool Kids”. The decidedly country track is a feel good anthem about being yourself and not caring what others think, which something we can all be reminded of. Kalie Shorr’s talent and heart are evident throughout the Awake EP. She will perform these songs along with her hit song “Fight Like A Girl” on the CMT Next Women of Country Tour with RaeLynn and headliner Sara Evans beginning Feb. 12th in New York, NY. The tour will be in Prior Lake, Minnesota March 16th. The Awake EP is available everywhere today.